Caryn Hartglass: Hello, everybody! I’m Caryn Hartglass. You’re listening to It’s All About Food. A very happy February 5, 2013. Thanks for joining me today. I’m the founder of Responsible Eating and Living. 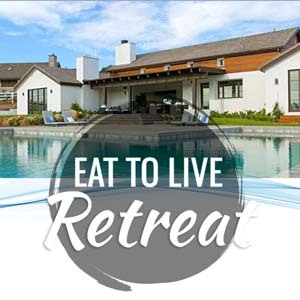 You can go to responsibleeatingandliving.com. 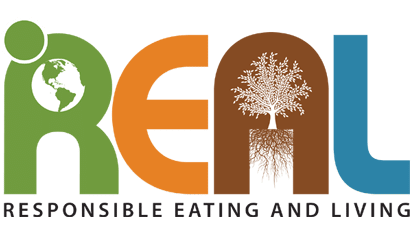 That’s R. E. A. L. and find out more about me and my non-profit. And I’m a foodie. I think I’m a foodie. I’m pretty passionate about food. And today, I’ve got some wonderful other foodies on the show and I think we’re going to have a really good fun time talking about my favorite subject: food. Now Julia Child … Julia Child … I need to work on that a little bit more but that’s a fun voice to imitate. Julia Child. She has influenced so many foodies in the world, in the United States, and all over. And I want to tell a little story about her before I introduce my first guest. You’re familiar with John Robbins, my friend John Robbins. He’s the son of Baskin Robbins’ Irv Robbins, who created the ice cream empire, Baskin and Robbins, and he was destined to take over the ice cream empire and then he went on his own way and he wrote this groundbreaking bestseller in 1987 called Diet For A New America. He has influenced so many of us and we have learned so much about our food system and how food affects not only our own health but the health of the planet and how animals are treated. He’s done tremendous work. And he was speaking in a lot of conferences when his Diet For A New America book came out and he was at one with Julia Child. And when they had some time off, John tells this story; he asked her if she wanted to visit a veal barn that was near the conference that was taking place in Pennsylvania. And so she agreed. She wasn’t interested in vegetarian; she thought vegetarians were sentimental. And she just cared what food tasted like. But they did go to this veal farm and John describes it where you could see calves chained at the neck. The chains were really short and the animals couldn’t move and they couldn’t lie down and they would live about 3 to 4 months before they were slaughtered. Of course, they were fed a diet that was devoid of iron in order to keep their flesh white because people considered white meat healthier and tastier. And they were advertised as being milk-fed when actually they’re not fed their mothers’ milk; they were fed skim milk and petroleum byproducts. Anyway, John brought Julia to this small veal farm and it’s nothing like the factory farms that we see today. But she looked around and she simply said, “Can we go now?” and then she said, “I had no idea. No more veal.” Now this was at the time when she was pretty old and you don’t hear this story in her documentary or when people tell stories about it but I think if we all knew more about how our food was produced there’s a lot of it that we would not tolerate, certainly the cruelty and all the toxins and things that go in our food. If we really knew and understood and made a noise about it, I think things would be a lot better. And that’s one of the things that we do here. So that’s just a little story about Julia Child. And now I want to bring on my first guest and Julia Child had an influence, somewhat, on him. My guest is Mitchell Davis. He is the vice president of the James Beard Foundation, a cookbook author, a food journalist, and a scholar with a doctorate in Food Studies from New York University. A graduate of Cornell University School of Hotel Administration, Davis spent two years cooking and eating in France and Italy before settling in New York City to write about food. And we’re going to learn a lot more about Mitchell Davis. Welcome to It’s All About Food. Mitchell Davis: Thank you. It’s a pleasure to be here. Caryn Hartglass: Yeah. I’m really glad to have you here. I’ve been looking forward to this for months since I first met you awhile back. Mitchell Davis: Indeed. And full disclosure must be that Julia Child and James Beard were very, very close friends their entire, well, their entire adult lives. They were the giants, literally and figuratively, of food in America. Caryn Hartglass: Right. They both brought French cuisine to the United States. Mitchell Davis: They did … well, they did although that was really Julia’s purview. Beard brought good food. He hated the word cuisine; the word gourmet, he was famous for hating. He grew up in Portland and was a West Coast boy all his life, really, even though he made his life and career in New York City. I think that one of the differences was he loved European food: French food, Italian food, whatever but he was American and I think that’s come to be his hallmark, really, or his legacy. Caryn Hartglass: I like reading about James Beard knowing that before he was a foodie per se, he was trying to make it as an actor. Mitchell Davis: In which restaurant can we go to today and not find someone just like that? Mitchell Davis: Actually, he’s on the stage right now. There’s a play about his life, a one-man show that was written last fall and premiered in Indianapolis at the Indianapolis Repertory Theatre and it’s just been re-mounted in Portland, Oregon, his hometown. Caryn Hartglass: Awesome! Have you seen it? Mitchell Davis: I have seen it twice. Yeah. Caryn Hartglass: Very good. Do you recommend it? Mitchell Davis: I do. It’s a really interesting piece. The playwright is James Still, who did a tremendous amount of research and it’s Beard looking back at his life, sort of like the last few days. Well, we don’t know actually if that was really imminent but he’s old and reminiscing about Julia and all those sorts of things, the changes that he’s seen. It’s interesting. Caryn Hartglass: You think it’ll make to Broadway? Mitchell Davis: You know, there’s always hope. Caryn Hartglass: Okay, let’s learn a little bit about you: how you got interested in food, and how Julia and James and everybody influenced you. Caryn Hartglass: Can you do a good Julia imitation? Mitchell Davis: The danger. The commercial kitchen is full of very dangerous things. Caryn Hartglass: I got my food certification … I took the test for the city certification and it scared me just reading about it, thinking about all the things that could go wrong in a restaurant. Mitchell Davis: Yes. One of the most terrifying things I ever experienced myself was a sushi training hygiene course. 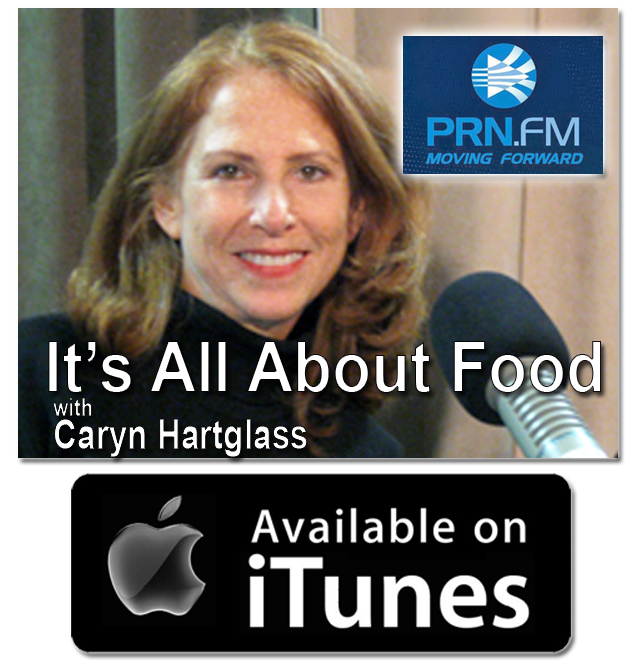 Caryn Hartglass: Raw fish, whoa! Mitchell Davis: Yeah. Or when the animals are being raised next door and the chain is contaminated. I mean there’s so many we can talk about. Anyway, I did have an eye opening in Paris, as cliché as it sounds, about food. And it wasn’t so much … I grew up eating really good food but it was the food culture that really changed me. The people were …I don’t think anyone in France would call themselves foodies although now there’s a trend called les foodista and that’s whole trendy thing in France. But it wasn’t that they were foodies; it was just that food was as important a topic as art and literature and music and all those sorts of things. It was right up there. It was okay to care, in a way. I didn’t know it then but that’s become one of the things that I spend my life doing is getting people to care. I don’t want to tell you what to eat; I mean I think we should all eat wholesome, well-raised, environmentally sensitively produced food. But I want to empower people to actually pay attention to food. I think it’s through that attention and discernment that we move towards better practices and better food. Caryn Hartglass: I agree with you wholeheartedly. I lived in the south of France for 4 years and that was one of the things I loved about it: everyone cared about food. I think, unfortunately, because of American influence some of that may be changing as much as they’re trying to fight it; the younger kids are not fighting that culture. Mitchell Davis: Europe is changing. I spent a lot of time in Italy since that time I was in France and you see the model of Europe because of the same economy’s scale, perceived pressures of production, all that sorts of stuff. They’re almost regressing, or moving more towards what we have in America, the system we have where everything is made in this place and shipped here, all the produce is grown in this country and shipped over there, and we’re finally realizing we’re at the end of that; we’re realizing actually that leads to really horrible things and we need to go back and re-regionalize Europe and the formation of the EU was a sort of Federalist project that strong producing countries with strong economies were making food and shipping elsewhere. Anyway, so it’s been funny, I mean sad, to see that shift but it does feel like something’s changed drastically here where increasingly large group of people has understanding of the regionalization, the importance of re-regionalizing their food system. That’s something, I have to say, that James Beard and I came to … I never knew him but I worked at the Beard Foundation now for 20 years and so I know a lot about him and it’s been, all the time, in his stuff, so to speak. It was something that he… it was something he always celebrated. One of his most famous books was American Cookery, which came out in 1972. It’s a giant thick book, which at the time, I think was rare. Now all cookbooks seem to be these giant tomes right in front of us. But it was a celebration of the difference in American things; not all the sameness of American things. There are a lot of recipes for beans, let’s say and they’re different from town to town, region to region and he has them all. He didn’t just want to find the one bean dish. So there’s something really resonant today, I think, with some of the groundwork he laid in his life. He wrote from ’39 and until he died in 1985. He was constantly producing stuff. I do think he had a lot of the values that had come to be embraced by the food movement before anyone realized there was something different going on. Mitchell Davis: You forget … in every … not just in food. I know this is a food show but in office products, everyone has the same trashcans and that drives me crazy. Like, “Why can’t there be different ones? It all has to be the $2 trashcans from Staples.” It’s part of the challenge, I think, because we’re so obsessed with the economics of anything, that economy of scale are so appealing for certain groups of people and they lead to all sorts of sameness. And food, I think, is the most … is the realm …, which the effects of that are most detrimental. Obviously, it doesn’t matter what your garbage cans look like if you put garbage in it although it would be nice. When you go to Europe you see, “Oh, wait, there’s different door knobs.” Every doorknobs doesn’t come form the same place. Caryn Hartglass: Oh, no. They’re all from Ikea. Mitchell Davis: Well, okay. But in food too. Food is the place where I would say … Food is not widgets. You actually … whether or not you believe in the business models of other industries is when they try to apply to food, what you get is the crap we’re all fighting against. It isn’t just an aesthetic fight; it’s about our health, and the planet, and the environment. Caryn Hartglass: I was thinking when you were talking about doorknobs, it wasn’t doorknobs; it was toilet flush mechanisms that were so varied in Europe. Mitchell Davis: Right, right. Yes. It was so varied you didn’t even know what to push. Mitchell Davis: But we take that for granted, I have to say. It’s so funny because even in America. I was born in the New York area. I was born in New Jersey and I grew up in Toronto. And in Canada they put light switches in different places. So my whole life I learned where to look for light switches and you come there and it’s usually outside the room and here, it’s always inside the room. These are small things you take for granted but our cultural differences … and food is the biggest area where that is true. Caryn Hartglass: Okay. I want to get back to France just for a minute. Have you heard of the vegan who walked into Chez Bocuse? Mitchell Davis. No. But was there a rabbi and an Irishman involved? Caryn Hartglass: No. So when I lived in France I was living with a Frenchman and we were first living in Lyon, the cuisine capital of France and the world. And he wanted to celebrate my birthday at the best restaurant that he knew of and that was Paul Bocuse’s restaurant, Chez Bocuse. And he called them two weeks before my birthday to say, “Look, I’ve got this vegan with me.” Now, this was the early 90s. And he explained what I ate, what I didn’t eat and they said sure, no problem, and come on in. And two days before we were coming in he sent them a fax to remind them of what the situation was. We showed up at the restaurant and no one had a clue who we were. Every course was a disaster. Disaster! I had to have the same conversation: it had to go back. I think there was only one other filled table. It was a weeknight; it wasn’t busy and yet I got the most awful service. Now I have to say, in the 4 years I lived there I never had a bad experience except that one time. Most chefs were very welcoming and they say, “I accept the challenge” and I was always satisfied and got some really beautiful dishes. Mitchell Davis: Interesting. Bocuse was the first assignment I was ever given in the food world as a professional food writer. I was working in a magazine called Art Culinaire. And the first person I had to go interview was Paul Bocuse. It was a little intimidating. Although I’m surprised at that level, a Michelin 3-star level, they wouldn’t have found that fax somewhere or done something for you. Caryn Hartglass: Or said that they couldn’t do something. Caryn Hartglass: I wanted to bring this up and you’re bringing it up so, perfect. Caryn Hartglass: The ugly American. Mitchell Davis: Yeah. Well, ugly but also open, in so many ways. Unbound by all of these other rules and traditions. I think that’s partly why our food right now is so exciting and there’s so much going on here because the rules sometimes let you go only so far. Caryn Hartglass: The thing about chefs and French chefs is they feel like what they’re doing is an art and they are offering their art to you and you don’t change what they’re offering. But today, in a world where people have food allergies, and religious issues, and then there are people, crazy vegans with ethical issues, is there a balance? Early in, I think it was around 19 … no, 2000, 2002, I forget when it was but I had never met another vegetarian when I lived in France. And then in the early 2000s they had the first Veggie Pride Parade. Caryn Hartglass: And I loved that they called it Veggie Pride because they were literally coming out of the closet, because they were hiding. Mitchell Davis: Right. Well, I went to ask a famous feminist scholar why was all this amazing work going on among French women feminists around the same time? It seems so funny in such a sexist place and it was like “Duh.” She was like, “Where else would the reaction be? Where else would you need to assert veggie pride except in a place where meat prevailed?” In some ways, you have to rally. But from that, come amazing change, as we see in other social issues. Caryn Hartglass: Okay, let’s talk about the James Beard Foundation. And how did that come about, and what do they do, and what do you do there? Mitchell Davis: Beard died in 1985 and the foundation was born posthumously. He had nothing to do with it, theoretically, except that there was this home where he lived in Greenwich Village on West 12th Street. In that home, so many people had such warm and important associations with it because he was really this ultimate host. He invited … In fact, Julia Child had a great story. When her book was about to come out she came to New York; her publishers brought her and her co-authors. And they asked her whom she wanted to meet and she said there was only one person; it was James Beard. So he threw a big party. And the idea that he threw a big party to introduce people to each other, to celebrate food, that he talked in his home. So many people have come through there. So students, and colleagues, and friends of his thought it was a bit of a shame that his home would not become lived on, let’s say. And it had been on the market for some time. And they just raised the money to buy it, without really knowing what the foundation would become. And in 1986 when there wasn’t enough money to purchase the home, Peter Kump, who had a cooking school in New York and was a student and friend of Beard’s, bought the home. And to just raise the money … everything had been auctioned off. It was an empty shell, except for Beard’s longtime companion: Gino Cofacci had a lifetime lease on the floor with Beard’s dog, his pug, Percy. And there was another tenant on the 4th floor. So the two floors were empty. Peter organized a dinner to raise some money to buy some stuff for the house and Barbara Kafka was very important in that. She wrote a book and gave the money to the foundation to also buy some stuff. And Wolfgang Puck was this young upstart Californian chef and he cooked the dinner. I think 14 or 16 people came. Everyone thought it was great and they started to hold dinners. It became … that’s how we evolved, from that idea. And it was kind of radical. It’s funny now that every restaurant has a tasting menu, like vegan restaurants … any restaurant has a tasting menu. But at the time the idea that there would be a place that you’d go for dinner, there’d be a set menu, you would sort of see a chef perform, was kind of radical here. And it just grew, through word of mouth. We’ve always been a 501c3 nonprofit so we are a public company. For a long time, we used to fight against the idea that it was a private dining club except that everything we always do was open to everybody, of course, everybody with the means to have dinner, which is a whole another topic we can talk about. But increasingly, now we have over 200 dinners a year, with different chefs every single time from somewhere in the world. So we’ve become this performance-based … Julia Child actually called us the Carnegie Hall for chefs. And then in 1991 we started something that really catapulted us into the national and international stage, and that was the James Beard Award for chefs and later, books, and food journalists, and restaurants, and radio broadcasters, and all kinds of stuff. And those awards … we’re the first, sort of, coveted, merit-based recognition for chefs. There were other trade organizations and awards like that but it was the first time consumers learned about them. It’s funny because today every time I turn on the T. V., whether it’s Letterman or Top Chef, they’re always saying, “The James Beard award-winning …” or “James Beard nominated …” but at the time it was crazy; there was nothing. And that was almost 25 years ago when the awards started and it’s really grown to be the most coveted thing we do. A couple of other things we do and have always been alongside them, part of our nonprofit status is we raise a lot of money for scholarships and tuition labors for people who want to pursue a career in the culinary arts, we say. Almost $4 million, since we started that in 1991, we’ve given away, awarded. And then just in the last 5 years, as all the world of food has changed and chefs’ interests have changed, and people who consume food with a passion of foodies, let’s say, have changed we started to get into some of the issues everyone is waking up to how food is produced. And we started an annual conference called the, well, it’s called the James Beard Annual Food Conference; it’s very creative. But it’s about sustainability and public health. And we bring thought leaders together and the whole idea is to bring many diverse perspectives and opinions in the room and to try to, not so much change what … well, it is to change what people think but it’s really to change what people believed, to change their values. It’s funny, chefs at the highest levels are working with the finest products in the truest sense: small produce, locally produced … it’s sort of where that movement began. And I think America is unique that way. You saw that in the south of France; that was just what you took for granted is that things came from around here. In America, it’s the other way: top down, from the chefs on down. But when you have the CEO of a giant global food corporation sitting next to a farmer or a chef, we hope we can make some valueships that will move everyone a little bit further. We don’t have our own political agenda, per se, although some of us keep in deep inside and hope it oozes out all over the room. But really, we want the people that we bring there to move everything more where we want it to go. So we’ve been doing more and more work like that. It’s been very rewarding because of the connections and the value sharing that we’ve seen but also to empower chefs, as I said, to really take the front line of food folks and put them in these positions to change some of these other people who are so removed from the act of producing and eating food because of the nature of the business. Caryn Hartglass: I think that food should obviously taste good, look beautiful but it can also be good for us. I think all of that is very possible and should be part of the equation for anyone putting a dish. Caryn Hartglass: And gentle on the environment. Mitchell Davis: Absolutely. I agree. And I’ll add, just because I’ve come from a great couple of panels about the workers who actually produce the food, and if we’re talking about ethical eating we really want to make sure that the ethics are shared for all of the people and plants and things that touch that food. I think that’s really important. Caryn Hartglass: You have something called the Enlightened Eater series. And I know my friend Linda Long, she was on this show recently with her newly published Virgin Vegan; she’ll be talking on March 6 at noon at the Beard House. Can you tell me a little more about …I like that. I like to think I’m an enlightened eater. Caryn Hartglass: She also authored Great Chefs Cook Vegan and I love that book too, just because all restaurants should accommodate all eaters. Mitchel Davis: For sure. And it’s one of the things we like to do at the Beard House, where we’ve had a few vegan meals, although quite honestly not as many as I want to be able to tell you we’ve had, but it’s an increasing number because we really want … To us, the most educational public service of the House, the Beard House, would be to allow chefs to do things in there that they couldn’t normally do, for whatever reason they think elsewhere so whether to explore an ingredient …we have this amazing tomato event every year, where every course, from soup to nuts, is tomatoes. And also, we once famously asked David Chang, a chef famous for his aggression, in some ways, towards vegetarians to cook a 12-course vegetarian menu for us because we want to challenge people to think about things differently. And it’s nice to be able to do that when we can. Mitchell Davis: jamesbeard.org and all of these things are in the calendar. Caryn Hartglass: And the James Beard House is located at 167 West 12th St., between 6th and 7TH Avenues, here in Manhattan. Mitchell Davis: Excellent. You can also follow us on Twitter; it’s where you get the most up to date information. @BeardFoundation is our Twitter handle. Caryn Hartglass: Right. We just have maybe a couple of minutes left. You mentioned … you didn’t use this word but I’m going to use the word, privilege. We both have a great privilege to be able to choose our food and to talk about our food and the James Beard House promotes a lot of chefs that many for us can’t even afford to go to. How does that fit into the equation? Mitchell Davis: It’s a good question. And increasingly… I actually did a TedEX talk about the idea that we need to change the notion and one of the things limiting us, an obstacle for some big food system changes that this perception that local food, organically-raised food, all these sorts of things, are only for people with means. I think if we can shift the mind set, the value system of the folks in charge of big food companies to thinking that that should be the de facto stance; that’s the right. It isn’t just a luxury to choose food that’s ethically raised, that’s environmentally sensitively-raised but that ought to be the standard. And you see that in other countries around the world. Then the separation … I think that the persistence of the separation, although very real because of how we set up our business model, helps to keep …for lack of a better word, rich people given the option to eat better and we just think poor people ought to be happy for what they’ve got. I don’t believe that at all. I think that some of the work we need to do is to change that, that everyone has the right to be discerning about their food and to have wholesome food as well. If you set the playing field levelly then no one can keep them apart. Caryn Hartglass: Yeah, We all are entitled to clean air, clean water, wholesome nutritious foods, a roof over our heads. And these should just be basic rights. 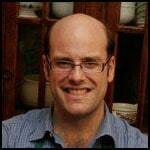 Caryn Hartglass: Well, thank you, Mitch, for joining me on It’s All About Food. Mitchell Davis: A pleasure to be here. Thank you. Caryn Hartglass: And we’re going to take a quick break and we will be right back for the second part of our show. I’m going to be talking with Annie and Dan Shannon; they got a great new cookbook out called Betty Goes Vegan. We’ll be right back.